BARRE is suitable for all fitness levels. 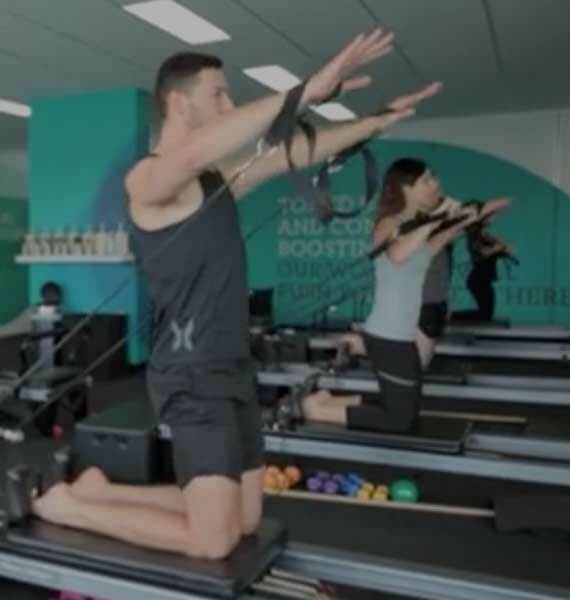 This full body workout fuses ballet inspired movement, pilates and functional fitness, emphasising correct technique, form and alignment designed to give you longer, leaner muscles. No ballet experience required! BARRE CARDIO is an ntermediate level class that mixes interval training with Barre exercises and short periods of recovery designed to burn more calories, trim and tone your body. BARRE PRE/POST NATAL is designed to maintain and strengthen your pre/post pregnancy body. This class combines strength training, light cardio and gentle stretching with the use of the ballet barre, perfect for your body during and after pregnancy. Children are not permitted during this class. BARRE MUMS & BUBS is a postnatal class for mums and bubs (up to 12 months) that combines traditional mat pilates and ballet barre inspired movement with the optional use of your baby in a carrier. It is your responsibility to tend to your child during the class if needed. Out of respect to other clients, babies and Instructor, please settle your baby in reception while class is in progress.